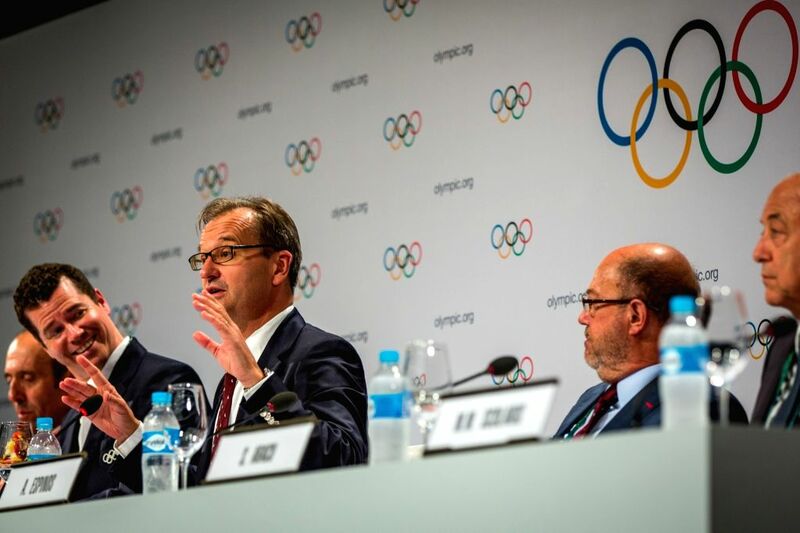 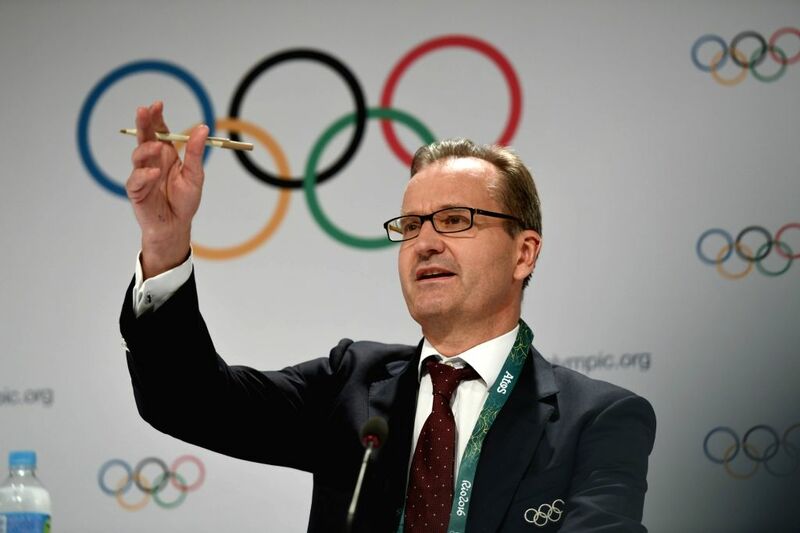 RIO DE JANEIRO, Aug. 2, 2016 - Mark Adams, IOC President's Spokesman speaks at the press conference of 129th IOC session in Rio de Janeiro, Brazil on Aug. 2, 2016. 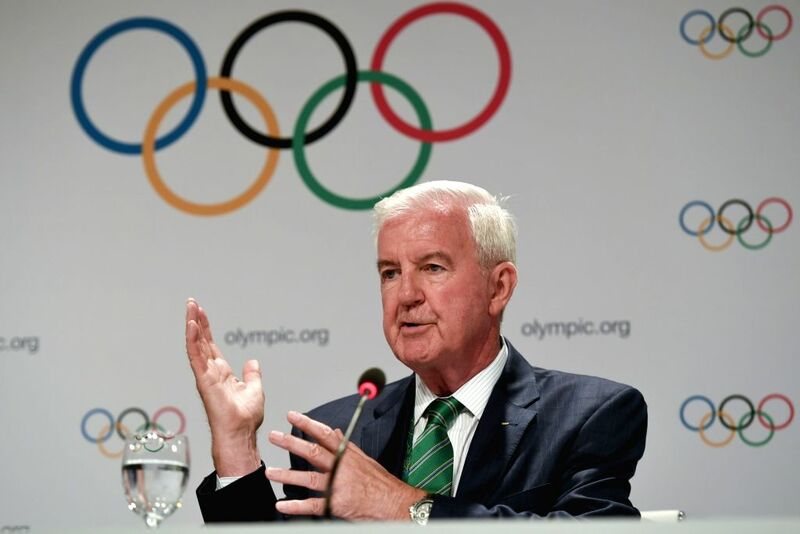 The 129th session of the International Olympic Committee (IOC) officially got underway Monday night with an inspiring ceremony at the Cidade Das Artes in Rio de Janeiro. 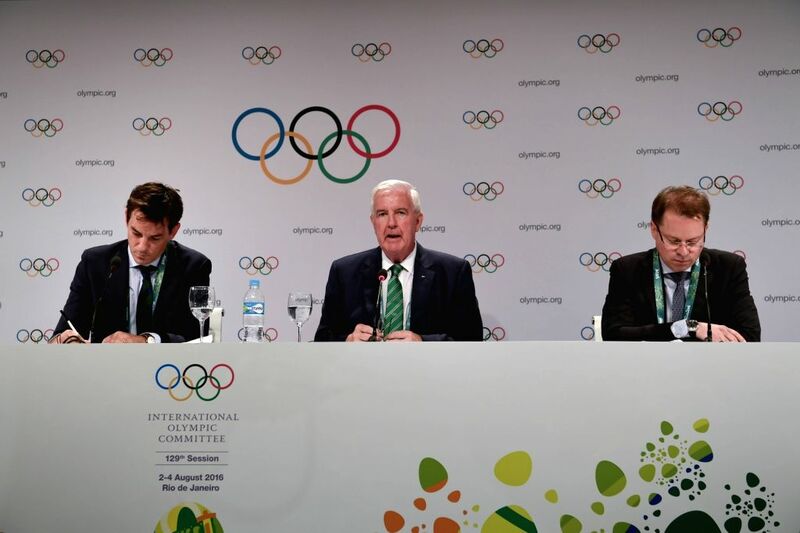 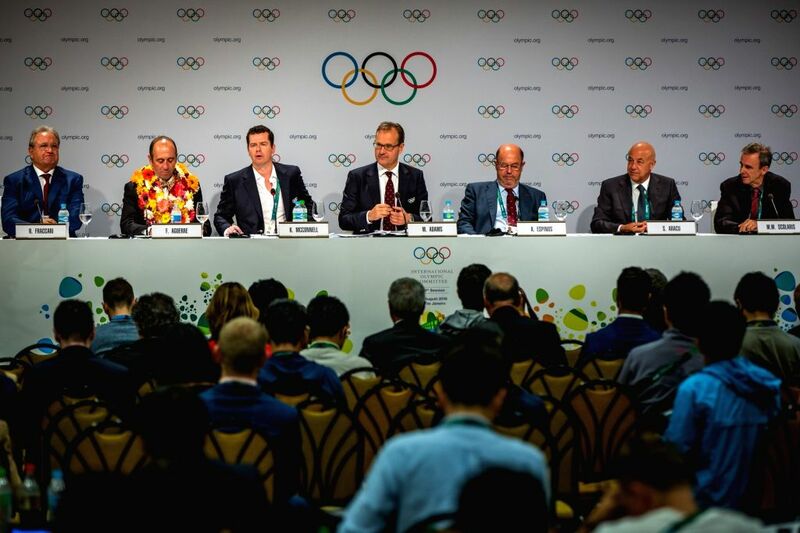 Photo taken on Aug. 3, 2016 shows the press conference of 129th IOC session in Rio de Janeiro, Brazil.